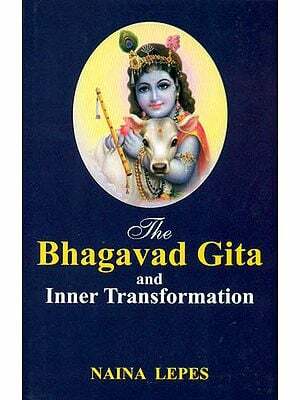 The Bhagavad Gita is indeed a part and parcel of the Mahabharata In order to remove Arjuna’s bewilderment due to sudden preponderance of Tams in the battlefield of Kurukshetra, Lord Krishna sang to him the massage of the Upanishad. 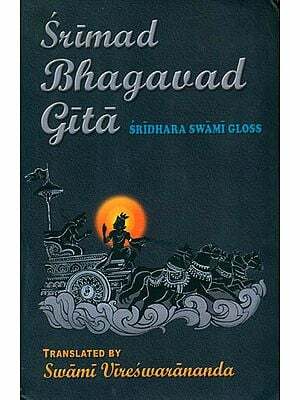 The Gita contains His massage that as a Kshatriya Arjuna should perform his duty of fighting against evil, the Kauravas, for the sake of duty itself. 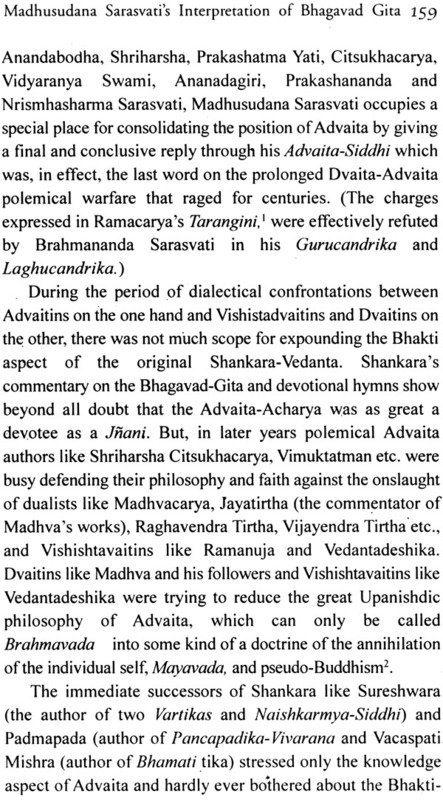 It therefore appears that Arjuna is encouraged by Sri Krishna to fight that will inevitably lead to death and destruction. 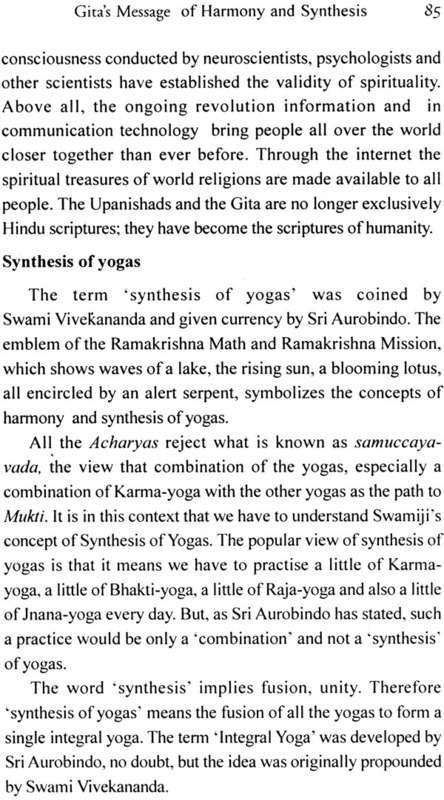 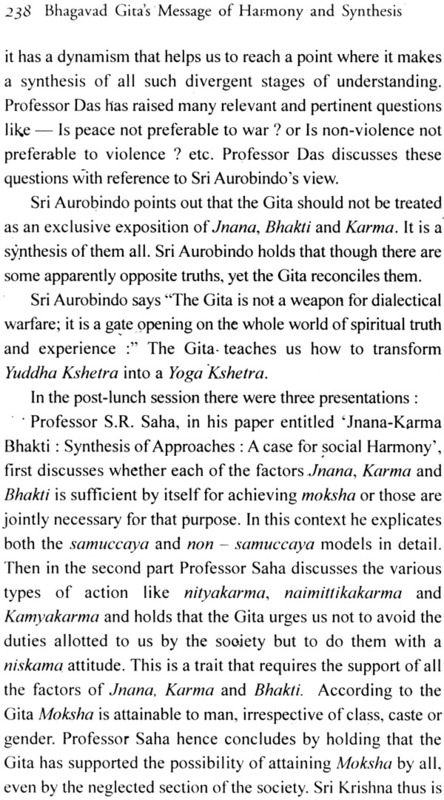 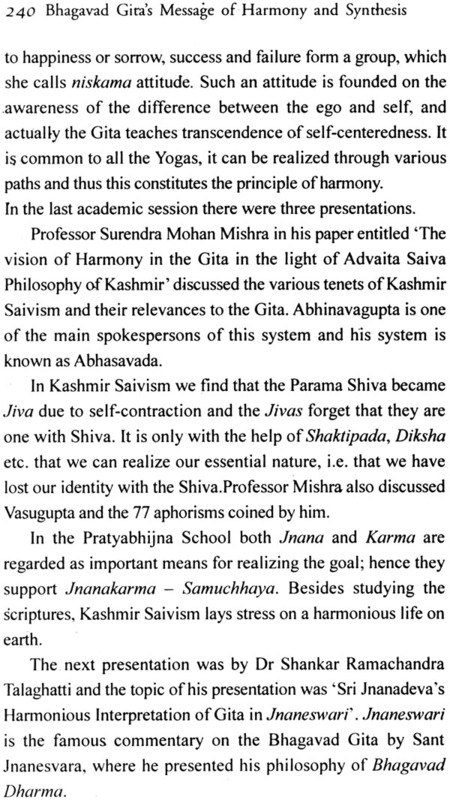 But how can then the Gita give us the massage of harmony and synthesis? 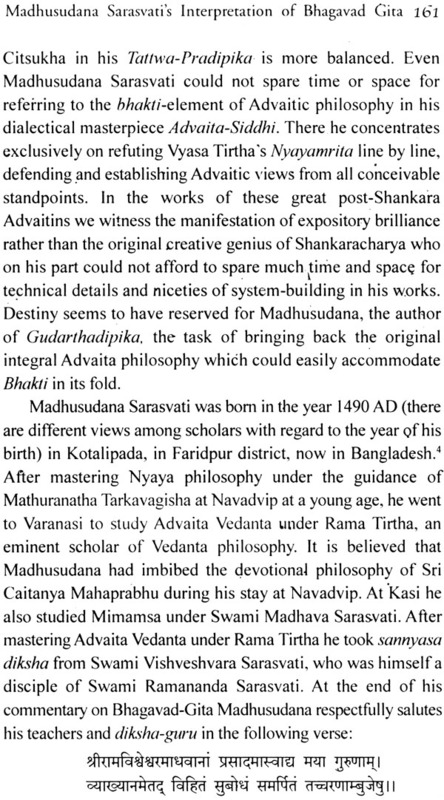 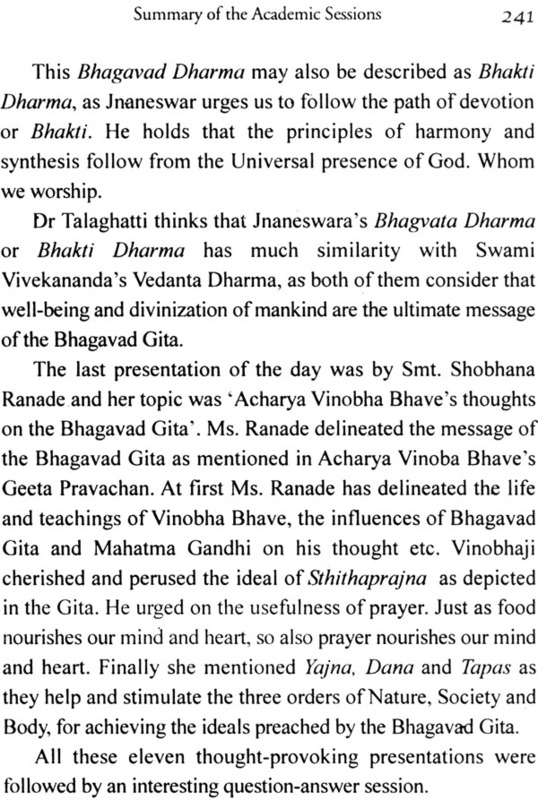 This question is of significance and in the Ramakrishna Mission Institute of culture a two day National Seminar was held (8-9) January 2011)to discuss the question. 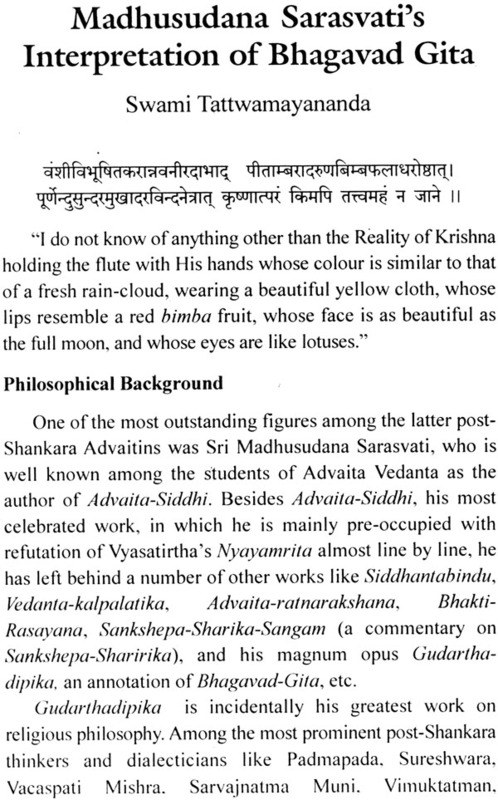 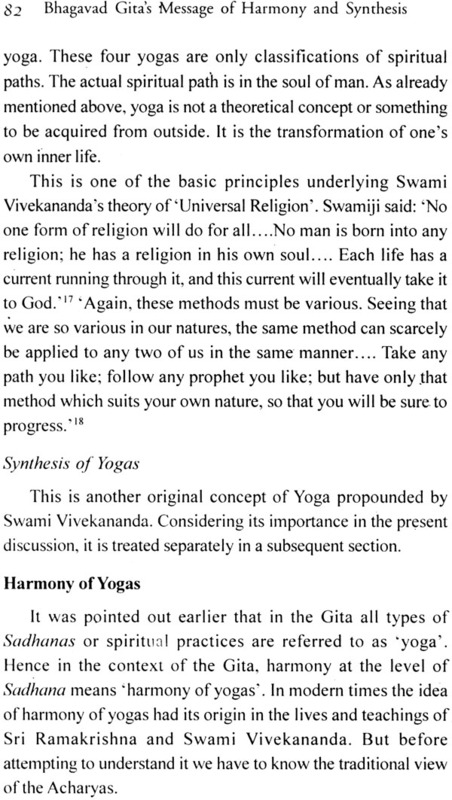 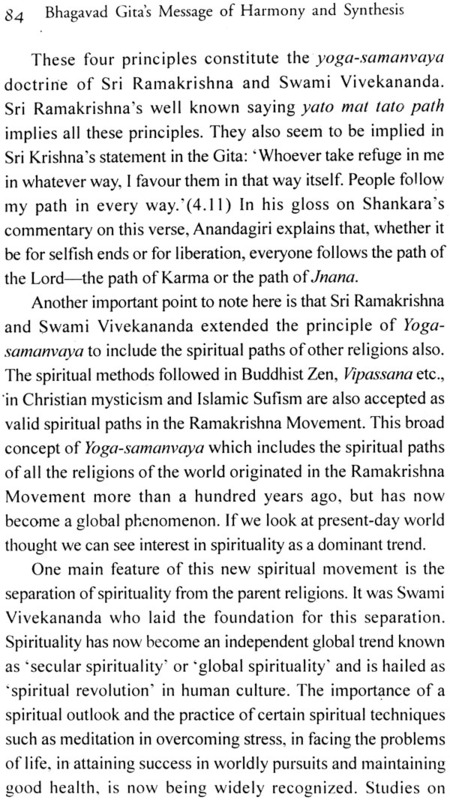 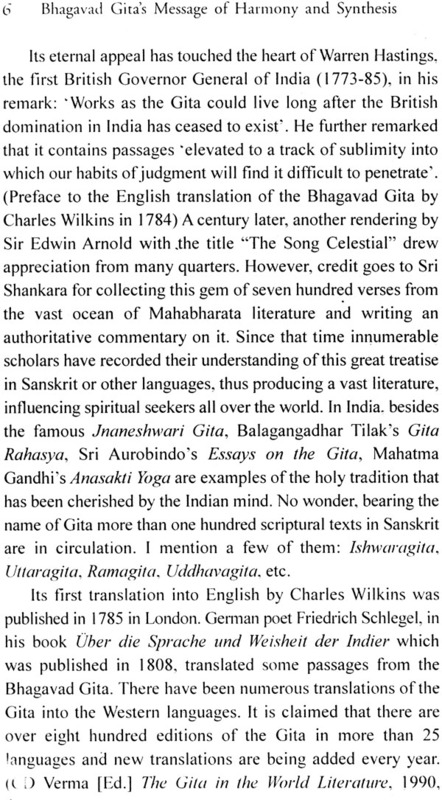 That the Gita contains distinct message of harmony and synthesis in various chapters is established beyond doubt by eminent scholar from Different parts of the country, Long ago Swami Vivekananda also drew attention of the world to the Gita’s wonderful doctrine of harmony and synthesis in his historical speech at the Parliament of Religions in America : Whosoever comes to me, through whatsoever from. 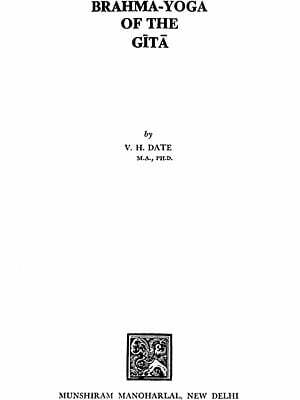 I reach him; all men are struggling through paths which in the end lead to me. 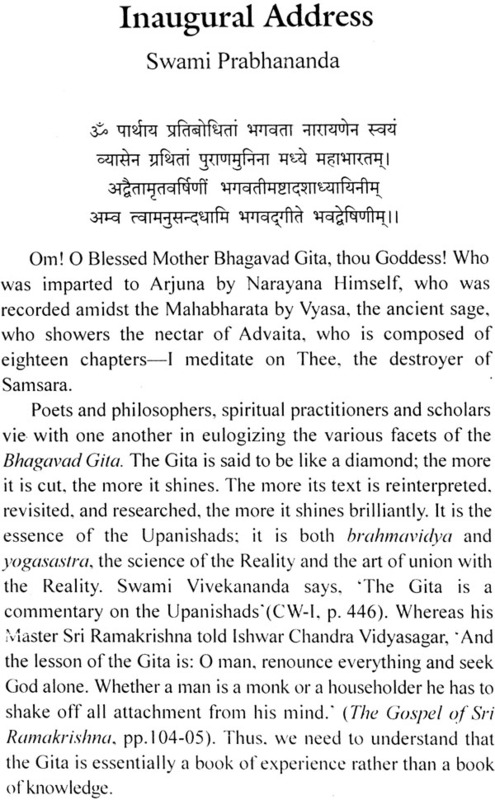 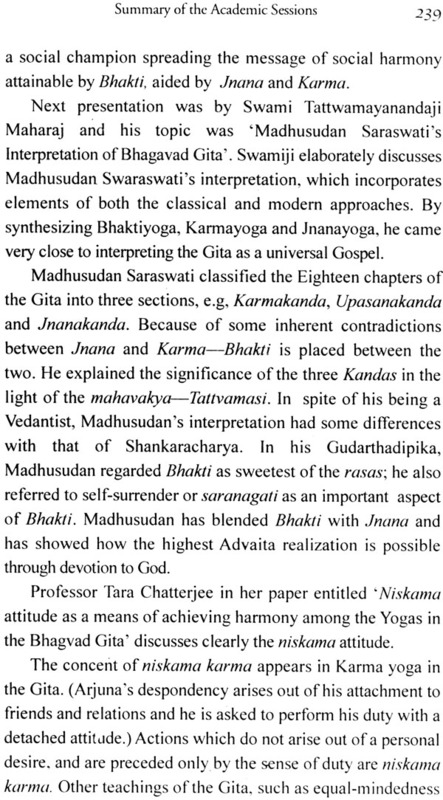 The Gita’s above mentioned massage is not also unique it is in full conformity with the Vedic statement that the Truth is One; approaches of the sages and seers are only different. 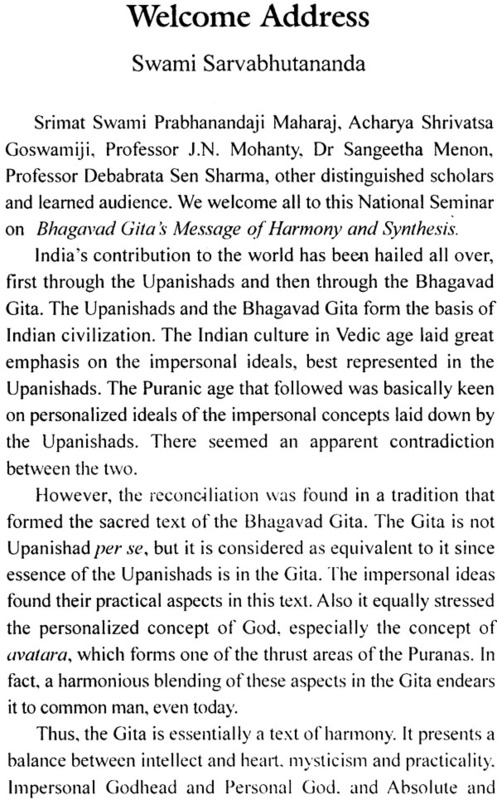 In the two day National Seminar, many papers were presented and there were as usual some other addresses too, All those are brought to light in the form of a book so that Bhagavad Gita massage of harmony and synthesis can put a check to disharmony, disorder, conflict as are found at different levels of the society at large. 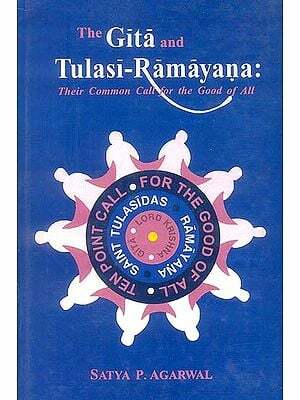 Peace is the crying need peace is possible through harmony and synthesis. 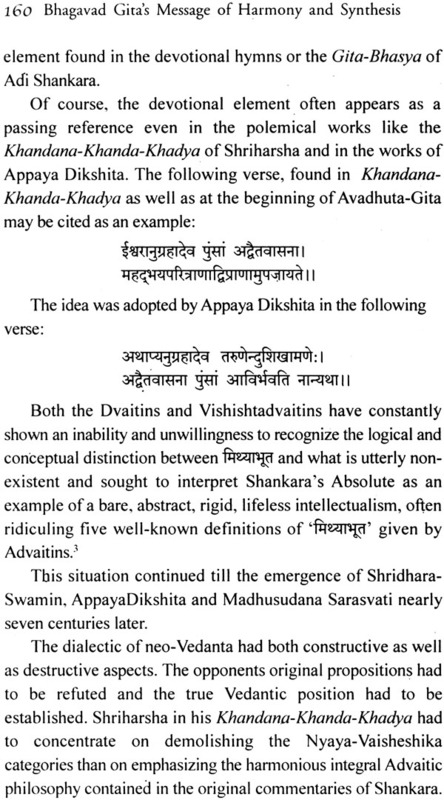 We are confident enough that the Gita will stand us in good stead in this regard.